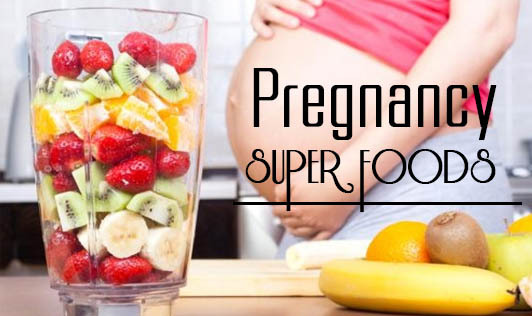 The foods you eat and how they impact your health is probably the only factor you can have complete control over during the pregnancy months. A healthy diet can contribute towards a happy and comfortable pregnancy by reducing many of the common complaints such as fatigue, nausea, anemia and heartburn. Your developing baby relies on you for all of its nutritional needs, which basically means your own needs are doubled. While the appealing prospect of 'eating for two' when expecting is no longer recommended, a pregnant woman must definitely eat the nutrients for two. And there are also some specific nutrients to focus on, with intake varying throughout your pregnancy. Almonds: Rich in protein, zinc, calcium, magnesium. Good for the development of brain, heart & nervous system. Avocado: Rich in omega 3 and essential amino acids for brain development and the production of collagen to reduce stretch marks. Bananas: A convenient snack rich in iodine, iron, zinc, folate and b-vitamins for normal growth and development. Blueberries: One of the best antioxidant food sources. Rich in vitamin C for a healthy immune system for both of you. Chickpeas: An absolute wonder food with over 9 essential nutrients. Invaluable excellent source of protein, calcium and fibre. Have it as hummus with pita! Carrots: Excellent for eyesight, immunity, healthy skin, hair and nails. Brazil nuts: The best source of selenium for fertility. Dairy products: Most absorbable source of calcium for strong bones and teeth. Also rich in protein and vitamin B12 for energy and healthy blood. Dark green vegetables: Amazing source of folate to reduce the risk of birth defects. Also rich in calcium, vitamin C & B and dietary fibre. Increases the absorption of iron when eaten with lean protein sources like chicken, fish and eggs. Eggs: Nature's own vitamin capsule. Higher in protein than chicken. Always use fresh eggs, and ensure they are well cooked, as raw eggs could lead to infections, defects or harm the baby. Flaxseed oil: Extremely rich in omega 3 and other essential fatty acids for brain development and healthy heart, skin, and placenta. Lean meat: like goat, lamb Most absorbable source of iron for healthy blood. Reduces risk of anaemia and fatigue. Superb fuel for foetal growth. Oily fish: like Tuna, Mackerel, Salmon Excellent source of zinc for conception, as well as zinc, omega 3 and iodine for optimum IQ and brain development. Tofu :The only non-animal complete protein. Rich in calcium and dietary fibre. Great for vegetarians. Wholegrain products: One of the best sources of folate and the B-group vitamins essential to normal growth and development, great energy source to reduce fatigue and excellent aid for constipation.